Walking through the doors at Hill School, visitors quickly realize there is no “typical” Hill School student. For the past 45 years, Hill School has offered students who learn differently a specialized education in a supportive environment. Located in Fort Worth, Texas, Hill School is a college preparatory, private school devoted to inspiring capability in K-12 students with learning differences such as dyslexia, dysgraphia, dyscalculia, ADHD, high-functioning ASD, and others. Accredited by AdvancED, Hill School mindfully provides rigorous, challenging instruction while acknowledging the inherent struggle that “school” presents for children who learn differently. Our faculty and staff of 40 recognizes that the learning process looks different for each of our 150 students because every child has unique social, emotional, and intellectual needs. Building a program that combines the best of full-academic and affinity programming with a 6:1 student-to-faculty ratio has proven to be the key to student success. Curriculum and instructional practices incorporate a variety of paths, including customized study programs, our 1:1 Technology Initiative, and extracurriculars, to accommodate differences in learning styles. For young children facing learning challenges, building an early foundation is essential. Our kindergarten curriculum focuses on intensive multisensory language instruction, growing early math skills, and shoring up social skills through social thinking initiatives. Learning in lower school (K-5) emphasizes the building blocks for future academic success. Our structured schedule provides students with exposure to core content areas of math, science, history, with a focus on language arts. All lower school students attend daily Orton-Gillingham (O-G) reading instruction based on their language needs. With the vast majority of our students struggling with language in some form and nearly 60% of lower school students with official dyslexia diagnoses, the O-G program strategically addresses reading and writing skills from the ground-up. Our faculty help facilitate a structure around the learning process by utilizing a variety of study techniques. Our middle school students (6-8) take advantage of appropriate interventions and accommodations to strengthen their weaknesses and enhance their strengths. Our upper school (9-12) curriculum is designed to prepare students for college or a career after graduation, and we offer several degree plans approved by the Texas Education Agency. Though the expectations are rigorous, the curriculum still allows flexibility and adaptability for all students with learning differences. There is a continued focus on improving reading and writing skills; as a result, our students take 8 English credits at this level. Additionally, our upper school offers typical high school experiences – pep rallies, prom, and a robing ceremony prior to commencement. To prepare our students for the future opportunities and challenges, we created the 1:1 Technology Initiative in 2009. Students in grades 7–12 utilize Microsoft Surface Pro slate technology at school and home, and students in grades K-6 have access to touchscreen laptops during the school day. Our full-service programming which provides athletic, fine arts and volunteer opportunities allows for experiences for personal growth and cultivates self-confidence beyond the boundaries of the classroom. Our athletic program features football, basketball, volleyball, cheerleading, golf, tennis, and track-and-field, while the fine arts department offers opportunities in music, art, media, and drama. Many Hill School students take varied paths beyond the walls of our school. As unique as their learning profiles and interests, our students are prepared to make personalized decisions and plans for their futures. The vast majority of Hill School graduates (more than 90%) pursue further learning at two- or four-year college programs. In 2018, our 21 graduates were offered 36 acceptances to 23 colleges, were awarded $848,430 in scholarships, earned a combined 150 college credit hours in English and college Algebra through a partnership with Texas Wesleyan University, and completed a record-breaking 4,000 community service hours. 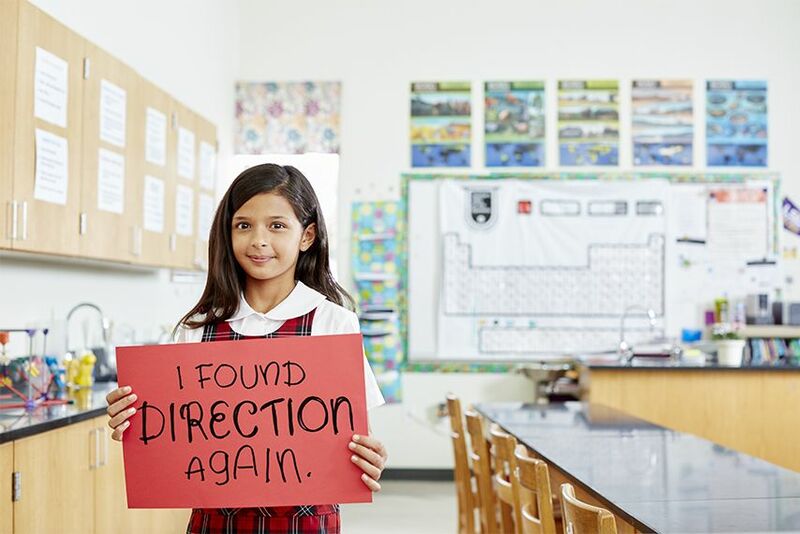 To learn more about Hill School and the vast options available for students to gain confidence in learning again, visit us at hillschool.org.